The presidential campaign has brought fear and anxiety to immigrant communities, leaving them vulnerable to scam artists claiming to offer assistance services, New York Attorney General Eric T. Schneiderman warns. Schneiderman said that his office and many legal aid organizations that work with immigrant communities have received an increased number of calls and reported scams in recent weeks. For example, since the election, the Northern Manhattan Coalition for Immigrant Rights has received an 266% increase in number of daily calls and 250% increase in number of daily walk-ins; on November 10th alone, the organization received over 100 calls. One of the most common scams currently making the rounds is unsolicited calls from fake immigration officials. For example, one immigrant living in New York recently received a call from a supposed government official, telling him that he was in the country illegally and must immediately pay $1,550. Schneiderman said federal authorities will never demand immediate payment, request personal sensitive information, or threaten you over the phone. If you receive a call like this, hang up immediately and report the possible fraud to our office. Notario Fraud: In many Latin American countries a “notario” refers to someone who has the authority to render legal services. Unscrupulous “notaries” who are not attorneys often rely on this misunderstanding to exploit immigrants. They charge immigrants excessive application fees without ever submitting applications. 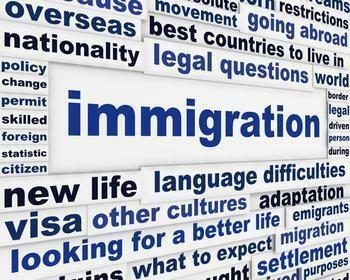 Misrepresenting Legal Credentials: Individuals may falsely claim to be attorneys or wrongly suggest that they are able to appear before the immigration agencies or court. They take advantage of immigrants who will unknowingly pay exorbitant fees for their services. Fraudulent Promises to Expedite Process: This type of fraud concerns individuals who contend that they know employees at immigration offices who can expedite the processing of their clients applications. Accordingly, they request high fees for this special service, but fail to provide it.